Oh boy, we’ve all been there. We’ve seen disasters at fundraising events – little ones and . . . huge ones, haven’t we? Some mistakes ruined the evening’s energy. Others ruined the auction. So don’t make these mistakes at YOUR next event! Let’s make sure your event goes smoothly – and makes as much money as possible! 1. The auctioneer blows your “Fund a Need” appeal. You build up to a magnificent Fund a Need appeal. Everybody is primed and ready to go. But your auctioneer blows it. How? Because your auctioneer makes it all about the money. And not a WORD about the work that these gifts will fund. What happens? Lame audience response. INSTEAD– the auctioneer can connect the money to the cause and your impact in the world. How to fix this fundraising event mistake? Give your auctioneer talking points – OR get up there and say those things yourself. OR hire a professional charity auctioneer who knows how to get the MOST out of a Fund a Need. Our Highly Profitable Events series will show you exactly how to lay out your Fund a Need – and dramatize it to amplify your mission and your work. You can attend live or get the entire set of recordings here. 2. Not enough time to plan it right. The second sin is one of disorganization. You have to allow at least 6 -9 months! You don’t have time to really get the most out of your committee members. You don’t have time to sell enough tickets, or to build up enough interest that people will want to come. You don’t have time to close the sponsorships that are really out there for you. Not allowing enough time to plan causes undue, and avoidable stress on everybody concerned. Make SURE that planning starts in time! 3. Not enough attention to your guests’ experience. During your event, there is so much to do – the food, bar, auction, lighting, seating — it can sap your attention. Sometimes in all the hubbub – we forget to worry about our lovely guests who are nice enough to attend! Make your guests feel welcome and enjoy themselves. Station a host committee at the door (your board members!) and greet guests warmly. Help guests get a drink quickly – they like to have something to hold in their hand. Make introductions to help people meet each other. DON’T let the program go on all night! Be sure there are vegetarian options on the menu. 4. Poor sound system ruins the live auction. So here are your guests, having such a great time. Everyone’s loud and happy. How do you get their attention for the program and the auction? You can’t if you don’t have a solid sound system. Alas, no one can hear! You have to have a killer sound system – with surround sound. Auctioneer Sherry Truhlar says the band’s sound system won’t work. You need speakers in the back as well as the front. 5. A dull program that goes on far too long. The program can kill the energy of the evening. It can drive your guests crazy with boredom or . . . it can be inspirational. You decide! What happens? The speakers get up there and won’t stop talking. Or, your testimonial person grabs the mike and will NOT give it up. The video goes for 12 minutes because your CEO liked it. Create an interesting program! Make it short! Tell all the speakers they have to be charming and brief. Control the program with an iron hand and a sweet smile. 6. 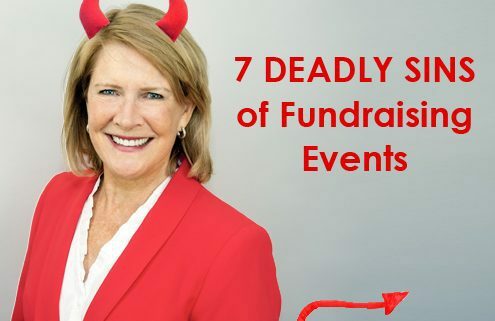 Fundraising events that go on too late. What happens when everything gets started too late? The reception runs late. The guests get seated late. The silent auction sections closes late. The program goes too long. . .
What happens to the live auction and the all-important Fund a Need? Your guests get tired. And they start leaving. End the program by 9:30 at the latest. Otherwise people will be leaving before you want them to! 7. No Call To Action at Fundraising Events. EVERY program needs to end with a totally clear call to action. 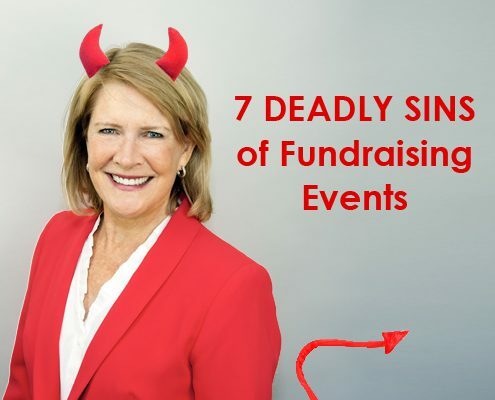 Bottom Line: how to avoid these fundraising event mistakes. 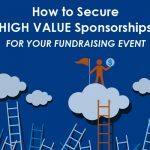 It’s really possible to raise a TON of money at your event – but you have to be smart, and manage your logistics carefully. And be sure to join our Highly Profitable Fundraising Event series to get the latest scoop on what’s working with today’s auctions, galas, and sponsorships. If you want your next event to break all records, then register today. What’s the biggest event blooper YOU’ve ever seen? Share it with a comment below! 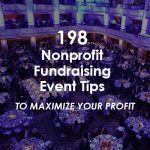 198 Nonprofit Fundraising Event Tips to Maximize Your Profit How to Secure Mega Sponsorships for Your Fundraising Event!